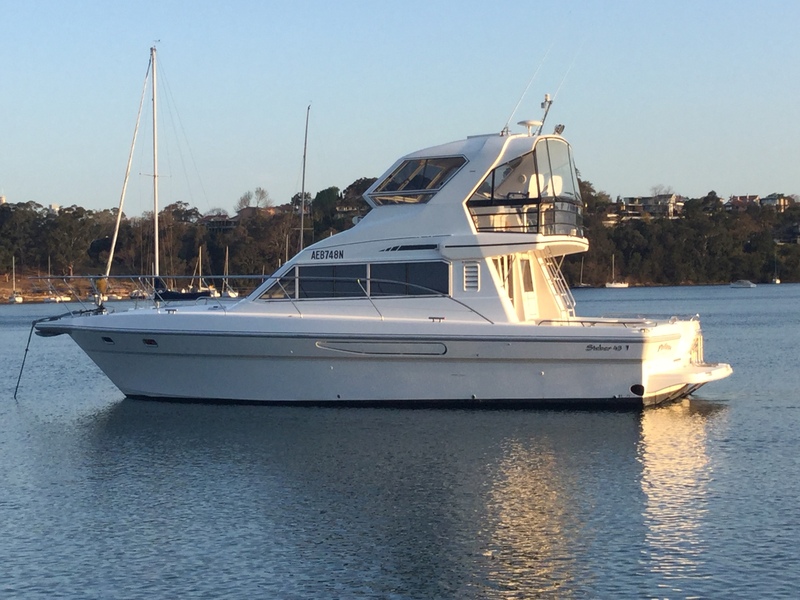 Launched in July, 2002 this Steber 43 is a great recreational boat with low engine hours. Built to survey for class 2C and IE including full stability booklet, etc. but not in current survey. Powered by twin D12 x 615hp with 317 hours logged. Complete engine overhaul and service undertaken August, 2017..Speed in excess of 30 knots. Full air conditioning, 9KVA gen set, cockpit freezers and many extras. 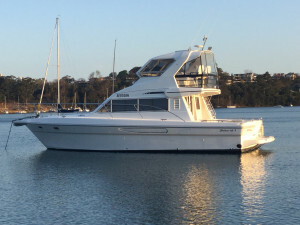 Available for inspection and test run at Northwood, Sydney.